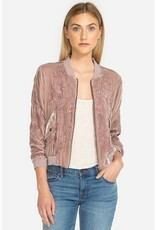 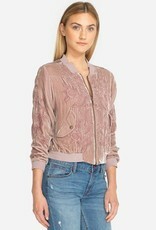 This bomber jacket will protect you from the cold while also keeping you looking as pretty as ever. 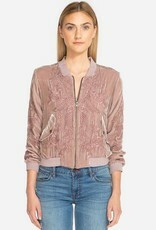 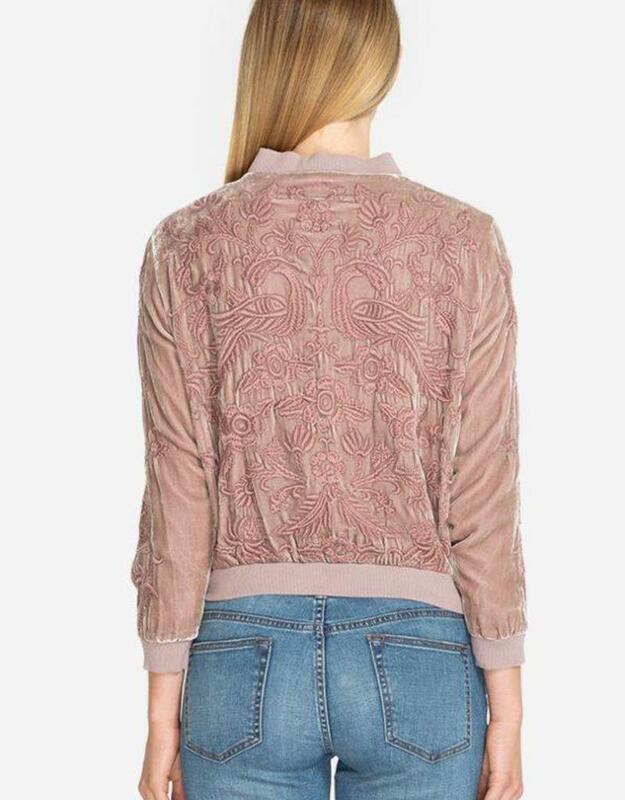 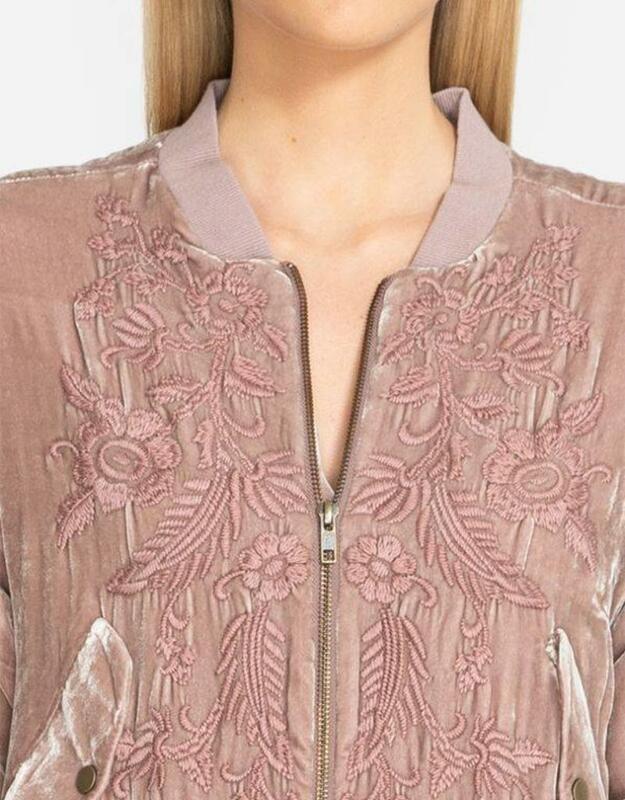 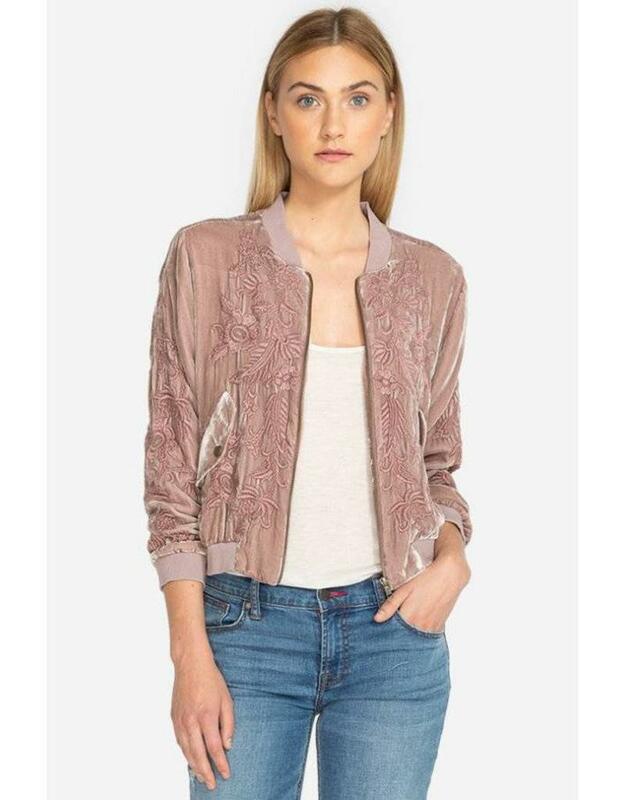 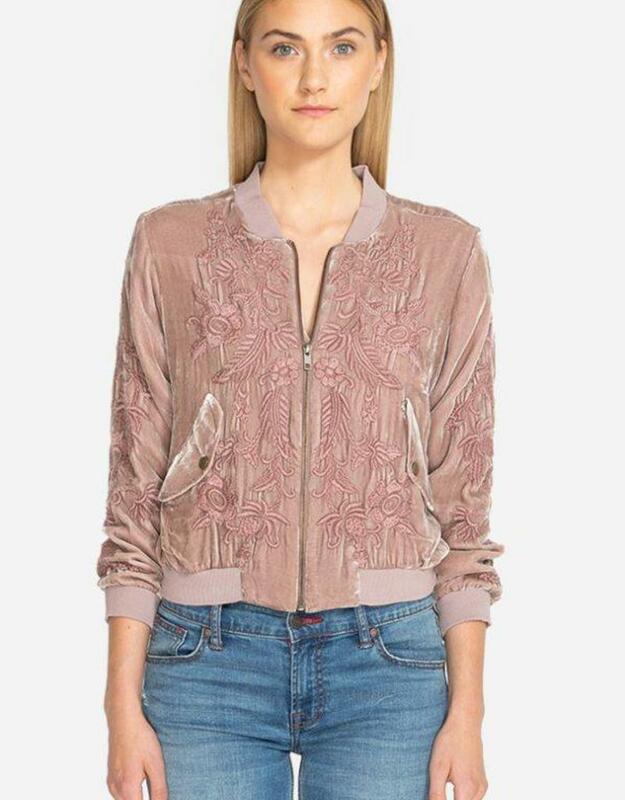 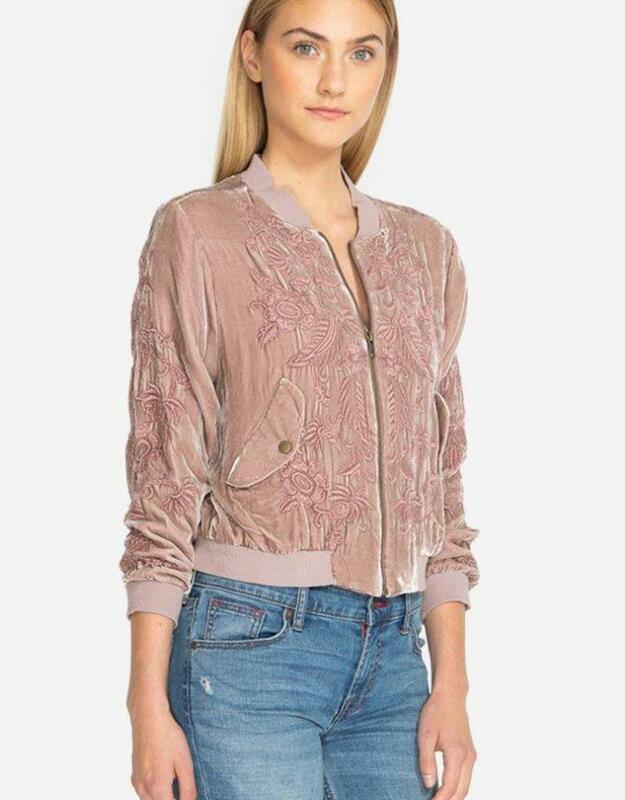 Delicate flowers decorate the velvety surface of this jacket, giving you a beautiful, feminine look without sacrificing warmth. 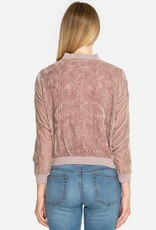 The shorter length makes it a great piece to wear over jeans and a patterned top that you want everyone to notice.